The smaller the company and the more limited warehouse capacity, the more challenging is to maintain the optimal stock level. The objective is to be able to fullfil all orders from customers. The Days of Supply Report helps with service level management and facilitates communication between the departments of forecasting, logistics and warehouse. 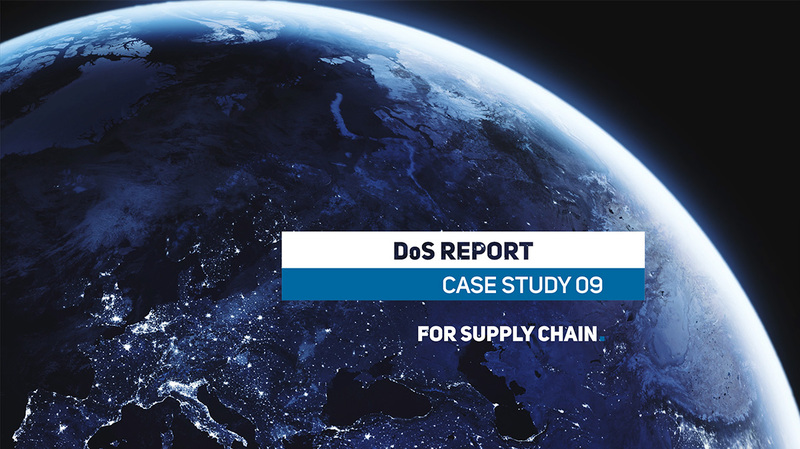 Shared reporting in the supply chain is most effective in situations where multiple departments enter the process. Occasionally our client had to deal with situations when goods for orders that were delayed for various reasons was waiting in the warehouse. Because of this, there was not enough space for the goods that were needed the most at the moment. While forecasting, logistics and warehouse departments all had some way of tracking the current market needs vs. current stock in warehouses, there was no unified information sharing system. That’s why we developed shared Days of Supply Report. The objective of the DoS Report is to ensure maximum clarity and time savings for all involved parties. 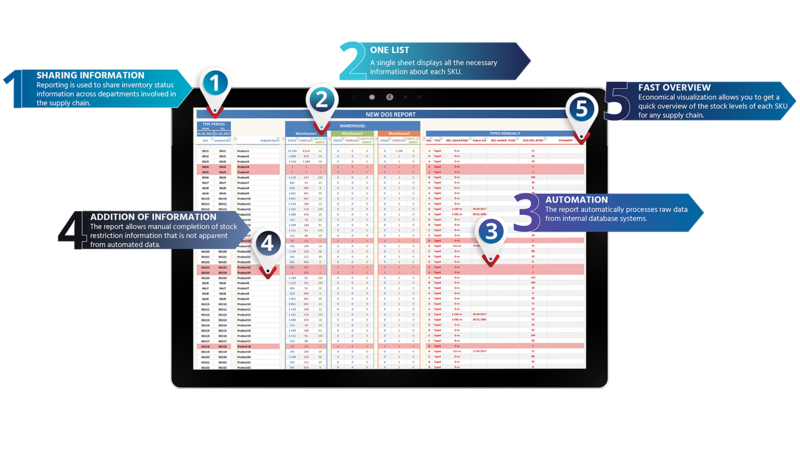 It contains information about all SKUs, the forecast for the given period, and the stock level of each SKU in each client’s warehouse. Although it requires processing of large amounts of data the report displays results with all useful information on a single Excel sheet. Obtaining results is a matter of seconds. The core of the report is automated. A designated user only needs to insert raw data obtained from the database system into the service section of the report. Calculations and display of results then happen automatically. After that there comes the manual part of the work. The user fills in information about SKUs that are on stock, but for some reason are not immediately available. Or SKUs which are not sellable to all types of customers. Thanks to the report all departments have an immediate overview of SKUs that are facing some problem. Forecasting department can use the report as part of feedback for further planning and decision-making. Logistics departmetnt will use such information for planning deliveries. And the warehouse staff has an overview of what’s about to happen in the upcoming period of time.